The Al-Qassam Brigades, the armed wing of the Islamic Resistance Movement (Hamas) issued a statement revealing that one of its fighters was killed, on Monday morning, when a tunnel collapsed on him in Gaza. 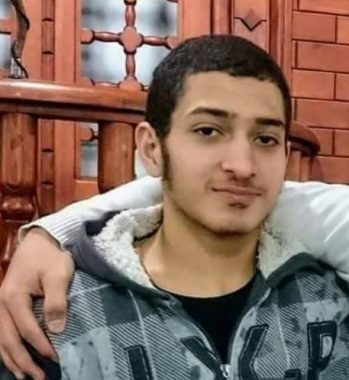 The Al-Qassam said that Anas Mousa Abu Shaweesh, 20, from the Tuffah neighborhood, in Gaza City, died after a tunnel, on the Gaza-Egypt border, collapsed on him while he was working in it. On February 13th, a fighter, identified as As’ad Shehda al-Breem, died in a similar accident in Gaza. Another fighter, identified as Essam Yousef al-Agha, was also killed in a tunnel accident, on January 20th, 2017. Hundreds of Palestinians have been killed in similar accidents, and many more have been injured; most of the casualties have been tunnel workers, not affiliated with any group, but resorted to working in the tunnels due to extremely high levels of unemployment and poverty, in the besieged Gaza Strip.